Big Dave strikes again! His Honey Chipotle BBQ Sauce was the first BBQ sauce to get a 5 star rating on The "Q" Review. He somehow managed to follow that up with a product that I may like even more, Wild Fire Sauce. Wild Fire sauce is a new introduction to Big Dave's product line. It is marketed as a wing and rib sauce. Big Dave's website also suggests mixing the sauce with ranch dressing to create a dip and putting Wild Fire sauce on eggs. I've used it for one thing, and one thing only....wings. Big Dave's Wild Fire has become my absolute favorite wing sauce. 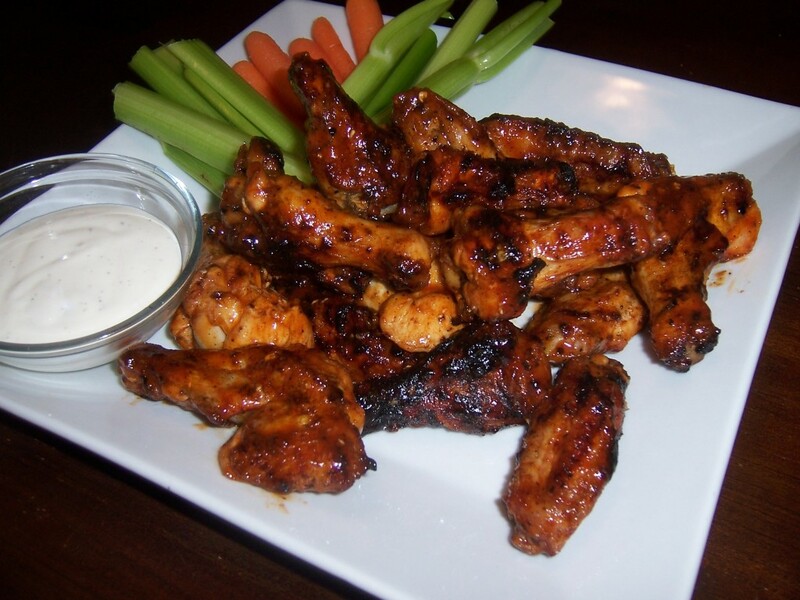 The sauce is the same consistancy as most wing sauces making it a perfect finishing sauce. This sauce is really a hybrid. It's not quite a hot sauce, bbq sauce, or traditional buffalo wing sauce. It's the best of all three. The initial sweet flavors are followed by a hot, peppery kick. Once again, I am astounded at Big Dave's ability to blend sweet and spicey. Wild Fire Sauce is hot, but the flavor is so well balanced, Katie and I both polished off a dozen wings before either of us broke a sweat. The sauce is so good that I significantly increased my chicken (specifically wings) purchases in the last couple of weeks just so I could cover it in Wild Fire sauce. My lone complaint about Big Dave's products remains the inability to get them. They are only available in and around Lancaster County, PA. One can only hope that they'll soon be available online. Be sure to check out their website by clicking the title of this review. Click the "Product Reviews" page to see Wild Fire's star rating. 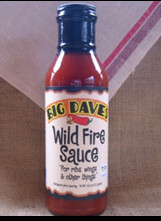 1 Response to "Big Dave's Wild Fire Sauce"
Does anyone know where they get any of this? I used to buy it from Big Dave at the farm show every year and. It it by the case. I heard he went out of business, but would like to get in touch with him somehow. My life is not complete without this sauce!